Facebook IPO – Am I Bad at Math? Facebook is going to launch an IPO sometime before April 2012. That’s pretty much a given. If you’ve read any financial site in the world this week you’re well aware of that. What most people might not be aware of though is the actual numbers at play here. The big figure being thrown around is the $50 Billion valuation of facebook by Goldman Sachs. That’s a lot of money, so I wanted to look a little deeper at the figures and see what’s going on here. 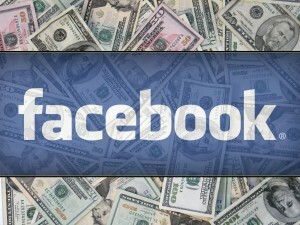 In the first 9 months of 2010 Facebook earned $355 million profit on a revenue of $1.2 billion. That’s a great margin percentage, but it’s not a lot of revenue. Based on $1.2 billion in revenue, that means the $50 billion valuation of facebook is almost 50 times higher than Facebook’s revenue. To put that in perspective, Google (over the same 9 months) made $6 billion in profit on $29.9 billion in revenue – yet Google’s current market value is only $196 Billion. That’s only 7 times it’s revenue, not the 50 times revenue valuation everybody is throwing around for Facebook. TL;DR: either I’m terrible at basic math or Facebook is very overrated. I’m actually a bit curious to see what happens when they DO file an IPO. The math alone tells me to stay away from this, but it IS facebook. The pundits (Scoble, Arrington, etc) are all blindly in love with it, and so is the Media. That tells me that this thing has the potential to skyrocket quickly. Whether or not that rocket will blow up and come crashing back down though remains to be seen.